Ngāi Tahu Seafood is a wholly owned subsidiary of Ngāi Tahu Holdings Corporation, the commercial arm of Te Rūnanga o Ngāi Tahu, the governing body overseeing the activities of Ngāi Tahu, New Zealand's southernmost indigenous Māori people. It forms one of the 'three pillars' of Ngāi Tahu commercial development, with sister companies Ngāi Tahu Property and Ngāi Tahu Tourism. 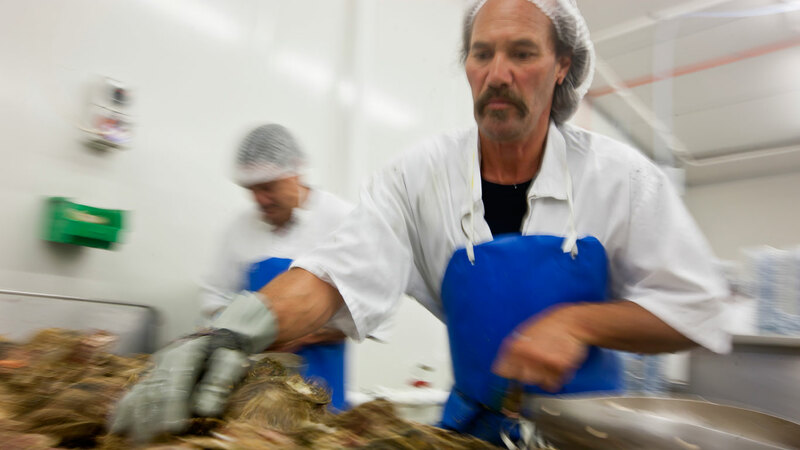 Following a recommendation by The Waitangi Tribunal in 1992, Ngāi Tahu Seafood was established to manage the fishing quota received by Ngāi Tahu following settlement with the Crown. Today, Ngāi Tahu Seafood is a niche supplier of the highest quality seafood to international and domestic markets, under its TAHU brand. Key species are kōura (rock lobster), pāua (abalone), rāwaru (blue cod), tio (Bluff oysters) and kūtai (New Zealand Greenshell™ mussels). Ngāi Tahu Seafood also holds substantial fishing quotas in other species. Ngāi Tahu Seafood is headquartered adjacent to the International Airport of Christchurch, New Zealand's third largest city, in Te Waipounamu, the South Island of Aotearoa, New Zealand. From here an integrated fishing, processing and distribution chain is coordinated. This includes company owned facilities in Bluff, Christchurch, Kaikōura and Picton. These range from simple, wharf-based receiving chillers through to full, export-registered processing plants. They are linked by Ngāi Tahu Seafood's own fleet of modern, temperature controlled trucks. Most seafood offered by Ngāi Tahu Seafood is caught against Ngāi Tahu quota by Ngāi Tahu fishers – families who have been fishing for generations. There are also important commercial relationships with a number of other New Zealand fishers and processors.